Five Cents. United States of America. Monticello. 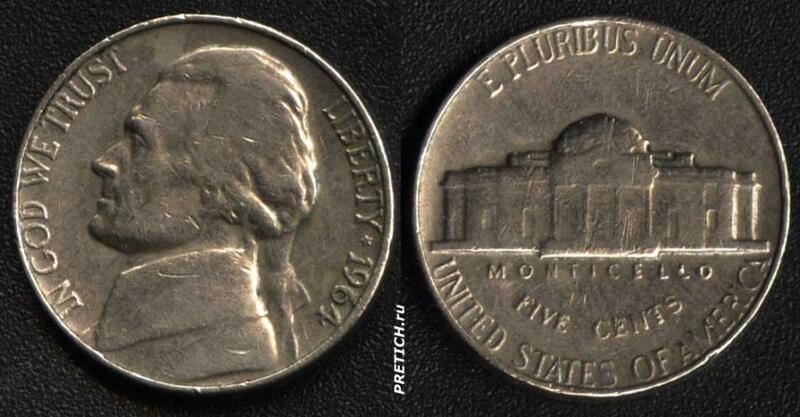 1964 - монета в 5 центов, США.